Thomas Cole, an American landscape artist was born on February 1, 1801 in Bolton, Lancashire, England. He was 17 years old when his family immigrated to the United States and settled in Steubenville, Ohio. 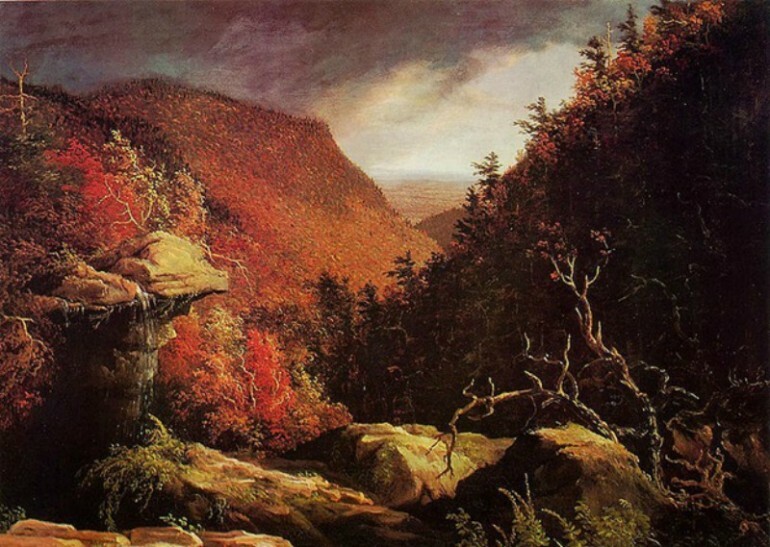 Cole was considered as the Hudson River School founder. It was a mid-19th century art movement in the United States. The style the members of the movement focused on was romanticism, drawing inspiration from the likes of JMW Turner, John Constable and Claude Lorrain, who were masters of the genre in Europe. Most of their paintings depict the areas around the Hudson River Valley, including the White Mountains, Adirondack and Catskill. 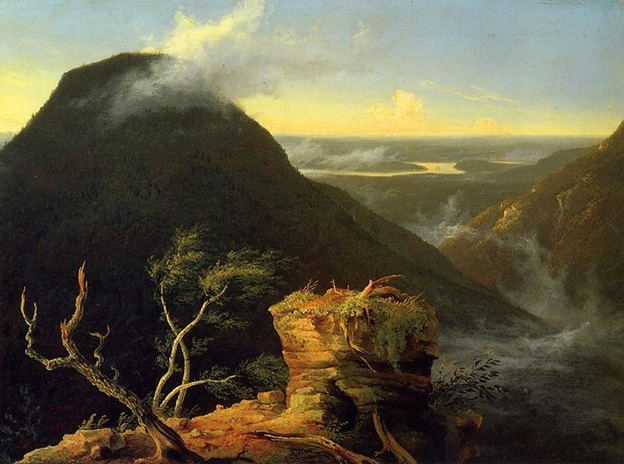 Thomas Cole was the first artist to have done a landscape of the Catskill Mountains located in New York State. Thomas Cole was noted for his detailed and realistic depiction of American wilderness and landscape. His early training came from Stein, a wandering portrait artists, but he did not gain much success as a portrait artist and he turned to landscape painting. He did not receive a formal art education when he was younger. Most of is aesthetic ideas, which showed markedly in his works, were derived from literature and poetry. He moved to Pittsburgh in 1823 and a year later to Philadelphia and entered the Pennsylvania Academy of the Fine Arts where he learned how to draw from casts. In 1825 he joined his family in New York City and helped found the National Academy of Design in 1826. Cole already received apprenticeship as an engraver before his family moved to America. He was an engraver of woodblocks that were used for printing calico-patterned coarse broadcloths. It was possible that he also engraved patterns for his father’s wallpaper manufacturing business when they arrived in the United States. In the United States he quickly got recognition as a landscape painter. He was an admirer and acquaintance of JMW Turner and Claude Lorraine and Turner encouraged him to focus more on historical and grand allegorical themes. The natural beauty of the American countryside inspired him to add romantic splendor and great feeling in his landscapes. American George W. Bruen paid for Cole’s summer trip to the Hudson Valley, who had bought five paintings from him. During his trip, he created five paintings, which he displayed in the shop window of the bookstore owned by William Coleman. Two of the paintings, depicting views of Coldspring were bought by Mr. A. Seton. The paintings were lent in 1826 to the annual exhibition of the American Academy of Fine Arts, which were seen by art patrons such as William Dunlap, Asher B. Durand and John Trumbull. The latter took notice of one of his paintings, “View of Fort Ticonderoga from Gelyna.” Colonel Trumbull, who was also a celebrated historical painter, sought Cole out and bought one of his paintings, and introduced him to several wealthy associates, including Daniel Wadsworth of Hartford and Robert Gilmor of Baltimore, who became the two most important benefactors of Thomas Cole later. William Dunlap publicized the discovery of a very promising artist, which opened doors to Cole into the New York art society. Robert Gilmor was a rich art collector who became one of Cole’s major supporter. His other major supporter was Daniel Wadsworth, an amateur artist and an architect, who belonged to one of the richest families in Hartford, Connecticut. He later founded the Wadsworth Atheneum Museum of Art. Although Thomas Cole was first and foremost a landscape painter, he was also adept at creating works with allegorical themes, such as the five-part work titled “The Course of Empire,” a series that showed the same landscape over several generations as well as a four-part series called “The Voyage of Life.” Some of his famous works include the “Lake with Dead Trees,” “Daniel Boone at His Cabin at the Great Osage Lake,” “Notch of the White Mountains” and “Oxbow.” One of his paintings that showed extensive detail was “The Garden of Eden” which depicted Adam and Eve in a place with deer, vividly detailed plants and a waterfall. Thomas Cole Mountain, which was named in his honor, is the fourth highest peak in the Catskills, the region that he dearly loved. His house, Cedar Grove is now called the Thomas Cole House, and was opened to the public. It was declared in 1999 as a National Historic Site.